Because of this, manufacturers have strong incentive to increase the protein content in their foods and beverages. With a wide range of protein sources at their disposal, it can be challenging to make the best choices to create the optimal formulation. U.S. Dairy bring significant taste, function and nutrition benefits to the table. 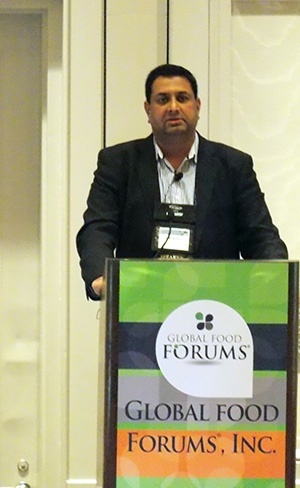 As explained in the Milk Protein Ingredients: Functional Properties and How to Maximize Use in Formulating Foods, seminar presentation by Hasmukh Patel, section manager for the ingredients solutions platform at Land O’ Lakes Inc., not all proteins are created equal. Knowing the functional and nutrition properties of each source will help manufacturers make the best decisions for their applications. Solubility: The ability to remain soluble under different processing conditions. This is extremely important in beverages to avoid a chalky or gritty texture, floating particles, and to provide desired nutritional and functional benefits. Heat stability: The ability to withstand ultra-high temperature sterilization or retort temperatures without coagulation, precipitation or excessive increase of thickening, gelation and viscosity. Emulsification: The ability to keep two immiscible liquid into stable solutions. Gelation: Dairy proteins can form rigid, heat-induced irreversible gels that hold water and fat, and provide structural support. Foaming: Dairy proteins - in particular whey proteins - contribute to production of stable foams that are important for some food and beverage applications. Taste, texture and nutrition are three main purchase drivers for consumers. The broad portfolio of U.S. dairy proteins allows manufacturers to created tailored products based on customer, consumer and formulation needs. In addition, emerging dairy technologies and ingredients offer additional opportunity enhance the capabilities and benefits of dairy. One example is native whey which is filtered directly from fresh milk and not a co-product of the cheesemaking process. It has better clarity and flavor benefits, along with a higher amount of branched-chain amino acids, such as cysteine and leucine. Understanding the functional properties of proteins from milk and awareness of the possibilities offered by new technologies allows food and beverage manufacturers to choose the right ingredients to optimize their final products to meet the ever- expanding needs of consumers.